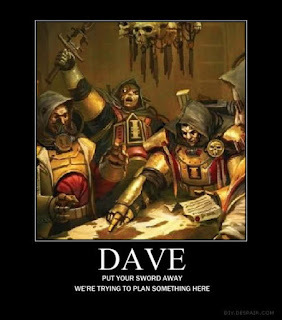 The games are now less than a week away, so I hope you have your lists prepared and your armies painted and ready for a good bout of 40k games. With that in mind, I wanted to send out a quick reminder for everyone to make sure that people don't forget some important things for the 40k event, and some general tips and tricks for making sure you don't end up panicking over lost or forgotten things that you need. Let's start off with a list of things, shall we? This sounds easy, right? It's the most fundamental part of playing a game. Even so, you'd be surprised how easy it is to forget that important character or squad that you need as part of your list. Have your list prepared and settled on well in advance. The night before the event, get your army list out and lay out all of the models that you will be using. Count them over and over and make sure you have everything you need ready to go, then pack every single one of them away for the games the next day. Count them all again and check them off your army list as you get them put away. You guys will be playing 6 games of 40k in two days, which means you'll be carting around your models between tables quite a bit. Having a quick and effective way of packing and transporting models is crucial not only for the sake of your own organization and ease of transport, but also helps the games go smoothly. You'll need to be able to set up and put away models quickly between rounds. 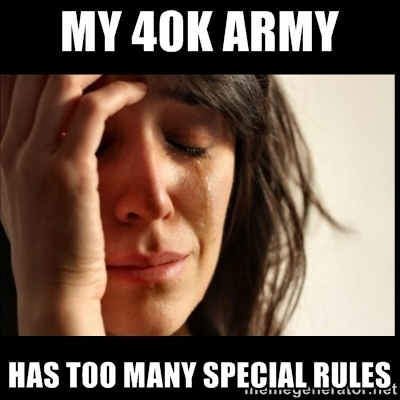 This is especially crucial for armies with high model counts. Taking too long to set up and move your models can lead to sportsmanship issues. If you are not getting past game turn 3 on each of your games, then that will cause an issue. Be proactive and put models removed from play away right away instead of in a dead pile on the table. 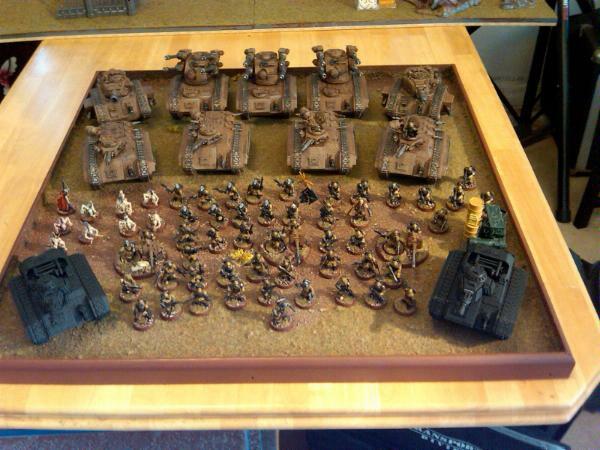 Some players go so far as to create custom transport and display boards. This is not required, but is highly encouraged. You want to spend more time playing than setting up, right? Game aids, such as the main rulebook, codicies, dataslates, and reference materials (FAQ's) are an absolute must. You will need your own tape measure, dice, templates, and any other tools you need specifically for your army (wound markers, etc) available and ready to go. If you have a unit, detachment, or formation in your army list, then you must have the rules available to reference at any time. Memorizing, while easy on your luggage, will not be enough because you must be able to get it out and show your opponent if there is a question on rules. If you don't have the rules, then you can't use it on the table. Digital copies are fine, though we do not encourage the use of pirated materials. SCGG is working to have some objective markers ready for the games, but if we run out due to attendance then have 3 25mm objectives and 2 40mm objectives ready to pull out and use. Having big or special dice for use in identifying numbered objectives (unless you want to pre-number them, which is also fine) is useful as well. This is very important. You need a copy of your army list typed up (not handwritten) and be able to provide a copy for the TO at registration and one for each of your opponents to look over an review. At registration, the TO will be reviewing your list to make sure it complies with the ITC format. Lists that are found to be illegal will not be allowed at the games. Personally, I recommend using programs like Army Builder or Battlescribe to generate your list. Keep it simple and easy to understand, and turn off unnecessary tooltips. If you want to have a more complicated list full of stats/tooltips for yourself, then that's fine, but the lists for the TO and your opponents should be easy to understand so you can get to gaming with little delay. If your opponent has specific questions on unit types/stats, then have your rulebook/dataslate ready to show them. That just about sums it up! I hope you guys are geared up and ready for a good time! This is going to be an exciting couple of days of gaming. 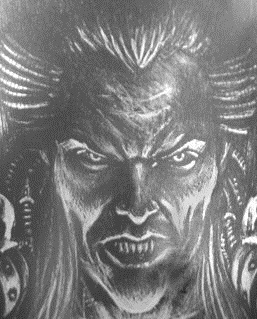 Last Day to do a little Murder..
40K, IMC, INFINITY, All going on now!